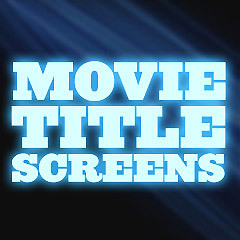 Movie Title Screens - James Bond Films: Title screens are the initial titles, usually projected at the beginning of a film, and following the logos of the film studio. They are often an ignored aspect of films, although they reflect the time period or era of the film, the mood or design of the film, and much more. This collection includes all of the title screens from the official Eon productions of the James Bond film series. The main fictional character in the British series of spy films has been MI6 agent James Bond (aka "007"), who originally appeared in a series of books by Ian Fleming. It is one of the longest continually-running film series-franchises in cinematic history, having been in on-going production from 1962 to the present. See also James Bond Films.